The complex relations between territory and the social sciences are explained by investigators from different disciplines: geography, economy, sociology and history among them. The current ferment in the social sciences has assigned an increasingly important role to the concept of space. In Geography, History and Social Sciences, established, internationally respected authors demonstrate the renewed vigour of the concept of space within the social sciences in general, and within the historical social sciences in particular. 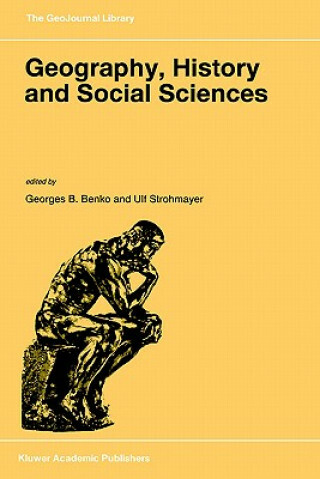 Consciously situating human geography among these latter, the contributions advocate an integrated vision of societies, taken through the lenses of an interdisciplinary human science. Geography and history, originally united in the pursuit of understanding the concrete forms and developments of societies, are once again brought under the unifying umbrella of a truly spatialised human science. Human geography in particular, which has been asserting itself as a social science over the last 20 years, must be rejuvenated, not only by listening to all the messages that can stimulate its theoretical construction, but also by establishing close relations with all discourses which speak of a society as a whole, made up of differently conditioned historical parts.